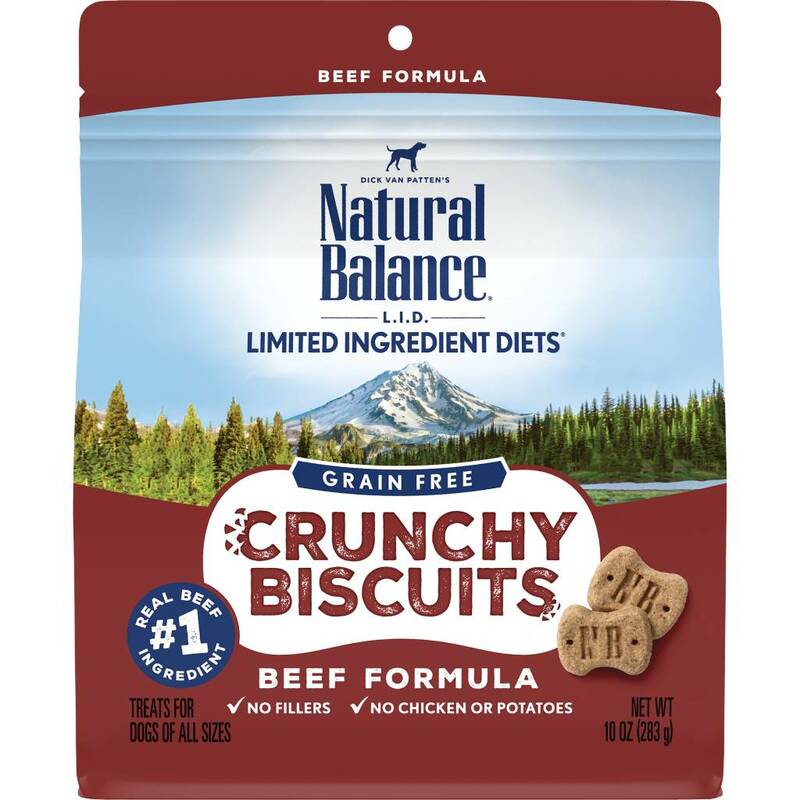 Home » Natural Balance LID Grain Free Crunchy Biscuits Beef 10 oz. Featuring a wholesome, high-protein formula and a tasty beef flavor dogs can't resist, Natural Balance L.I.D. Limited Ingredient Diets® Crunchy Biscuits are delicious treats you can feel good about giving to your dog. These crunchy treats are made with only one animal protein source, placing you in charge of what your dog is exposed to. Their simple formula features beef as the first ingredient, providing protein to help maintain strong muscle. The formula also includes peas, providing fiber to help support healthy digestion. Natural Balance L.I.D.® Crunchy Biscuits are made with no fillers, grains, chicken, or potatoes. Whether your dog has food sensitivities, or you just want to keep it simple, you can feel good about giving your pet Natural Balance® crunchy dog biscuits. Beef, Dried Peas, Tapioca Starch, Beef Meal, Canola Oil (Mixed Tocopherols Used As A Preservative), Natural Flavor, Salt, Citric Acid (Used As A Preservative), Mixed Tocopherols (Used As A Preservative), Rosemary Extract.